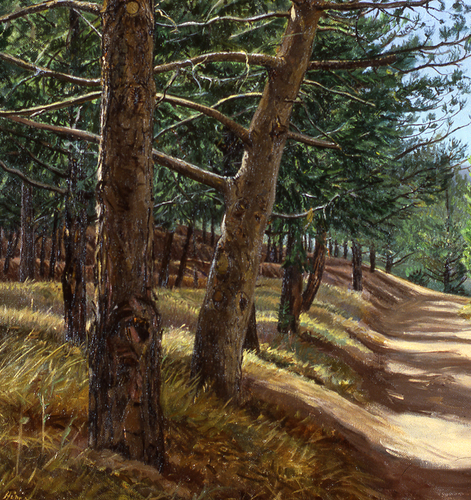 Plein Air study for painting "Forest Service Road"
Oil on canvas. 14 x 14 inches. 1991. Please see gallery of day paintings for final painting.